Judy has been in the travel industry for over 20 years as a certified travel planner and most recently as a travel and feature writer. As The Traveling Elephant LLC, she specializes in UNFORGETTABLE leisure travel package, cruise and unique custom itineraries, meetings and events for individuals and groups (corporate, family and special interest). She also organizes and leads group tours. As an independent contractor, she is affiliated with Global Travel Unlimited Vacations, in Highlands Ranch, Colorado, a BBB accredited A+ rated agency. Global Travel is a member of the American Society of Travel Agents (ASTA), Cruise Line International Association (CLIA), International Airline Travel Agent Network (IATAN), Outside Sales Support Network (OSSN), the Vacations.com consortium, and the Colorado Women’s Chamber of Commerce. An intense interest in African elephants developed when Judy served on the board of the Denver Zoo’s auxiliary in the late ‘70’s and early ‘80’s. Ironically, her interest in African tourism evolved during the first of three tours she organized and led to the Monarch butterfly sanctuaries near Angangueo, Michoacán, México. The indigenous people in the region were dependent on the oyamel forests for their survival, destroying the delicate Monarch winter habitats at an alarming rate. She learned how the Government of México, in cooperation with worldwide conservation organizations, is encouraging Monarch tourism to replace the traditional sustenance for the local populace. The need to support similar tourism efforts in Africa to protect the endangered elephant habitats became abundantly clear. To that end, Judy is active as a board member of the Rocky Mountain Chapter of APTA, (Association for the Promotion of Tourism in Africa), a travel trade organization which promotes tourism to Africa and its islands through educating its members. 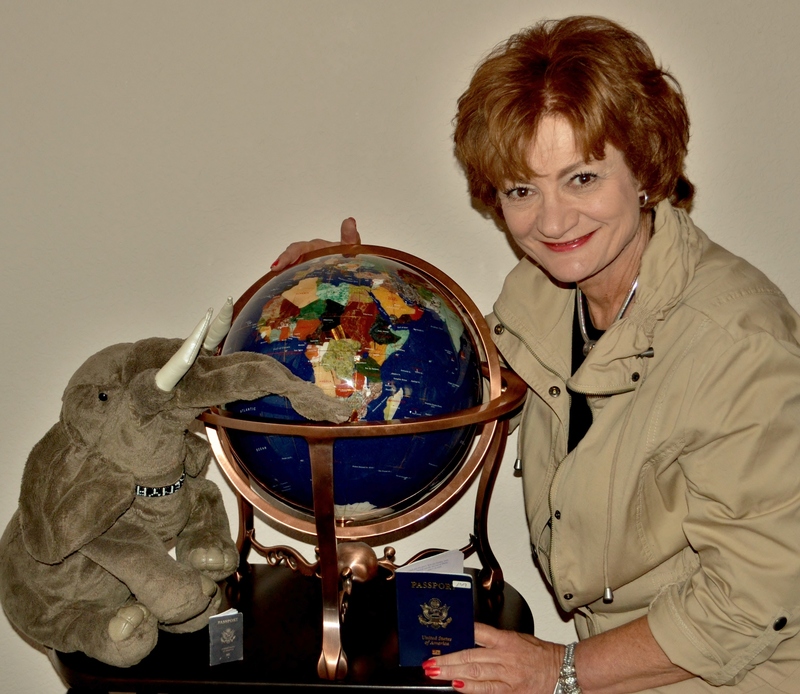 In November, 2012, Judy crossed off one of her “bucket list” items when she traveled to Kenya. She was thrilled to observe African elephants in their natural habitat, particularly up close at Samburu National Reserve. Another elephant highlight of her trip was a visit to the David Shedlrick Wildlife Trust Elephant Orphanage, where she visited her foster “child,” Sities, a beautiful 3-year-old elephant who was orphaned in January, 2010, when her mother was killed by ivory poachers. In March, 2011, Judy achieved another of her “bucket lit” goals: Ziplining through a rainforest canopy in Costa Rica. Still to go is snorkeling the Great Barrier Reef and a return visit to Spain, where she lived during the Franco regime as a student at the University of Madrid. Professionally, Judy is the vice president and chair of the Educational Outreach Committee of the Association for the Promotion of Tourism to Africa (APTA). She belongs to the Lone Tree Chamber of Commerce and the WryToast Chapter of Toastmasters International. She earned her Certified Travel Associate designation from the Travel Institute. She also holds several specialty travel designations, including a Kenya Tourism Board designation as a Kenya Specialist. Judy attended Southern Illinois University Carbondale, the University of Madrid, and Metropolitan State College in Denver, majoring in political science with a minor in journalism. A self-described “Jack of all trades,” Judy’s vocations and avocations have/do include import-export; catering; lingerie modeling (about 40 years and 65 pounds ago! ); retail; political and community activism; and advocacy for people with disabilities. Her interests include writing; cooking; traveling; singing and performing at Denver’s Swallow Hill Music School; collecting African elephants; and walking and working out. A native of the Chicago area, Judy moved with her late husband to Colorado 1976. She has one 20-something son still waiting to be launched and one 30-something son who works as a DJ and ramp supervisor with Frontier Airlines. The family’s runt female Golden Retriever, Teezer, thinks of herself as an Alpha male timber wolf. Judy’s “granddoghter,” Harley, a 3-year-old female German Shepard mix, is in residence until her “parents” can find a home with a big back yard.